MAMI Film Club is kickstarting its annual programme with a special event that will have Sir Ian McKellen in conversation with Aamir Khan. 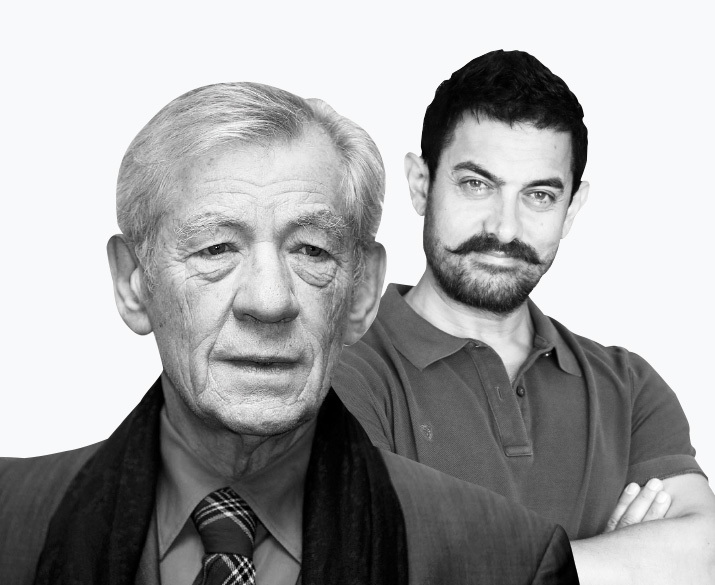 MAMI Film Cub has partnered with the British Council, the British Film Institue, GREAT, NCPA and Fountainhead to bring Sir Ian McKellen and the incredible ‘Shakespeare Lives on Film’ programme to India. Shakespeare’s legacy across theatre and film has been unparalleled. It has transcended borders and has been adapted, represented and celebrated globally. 2016 is the 400th anniversary of Shakespeare’s death. As a platform for filmmakers and filmlovers, which is dedicated to igniting and cultivating a passion for cinema, the MAMI Film Club will aptly mark its debut with an event that pays tribute to the bard. Shakespeare Lives on Film is a curated a special international touring programme of British Shakespeare adaptations, spearheaded by Sir Ian. This is a part of ‘Shakespeare Lives’ a global programme by British Council and GREAT Britain campaign. Sir Ian’s interational tour will begin in India with the launch of MAMI Film Club. Just register for the MAMI Film Club! The Masterclass will have limited seating so make sure you register right away.